Just like “Spring Break” it’s time to plan your Sun & Sea Parade entry. Website registration is now open and the search is on for everyone to join up to march in the parade with family, friends, local community groups and businesses. Come one and come all to the Sun & Sea Festival Parade at 9 a.m. on Saturday, July 14. It’s easy to register on the festival web site. 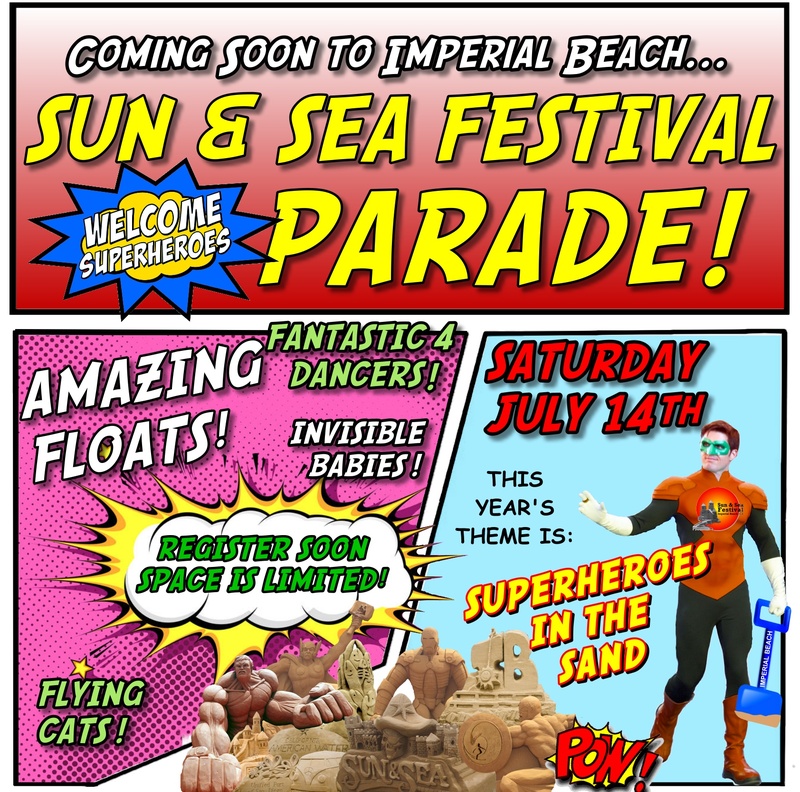 This year’s parade theme is Super Heroes in the Sand and we encourage entrants to participate and dress in super hero gear and to decorate their entries in super hero style. All entries will be judged for overall themed dress, decorations and decorum for First through Third Places. Parade begins at 9 a.m. sharp on July 14; check-in begins at 7:00 a.m. in the morning at the Mar Vista High School athletic field. Awards will be presented at 11 a.m. at Pier Plaza. Also, again this year, participants are asked to refrain from giving out printed materials in an effort to respect the environment and to “Go Green”. It’s free to enter the parade, but participants must apply through the online application. This will provide all the information you need to know about participation. Registration is open until June 29, 2018, at 5 p.m.